Our corporate newsletter with specialist information! We inform about innovations within the scope of our areas of expertise. You will also find important suggestions for avoiding damage to buildings and technology as well as information on energy efficiency. Click on the BAUINFO number to open a PDF file. Unfortunately, our BAUINFOs are currently only available in German. Heizungsanlagen mit Wärmepumpe in Ein- und Mehrfamilienhäusern. Muster-Hochhaus-Richtlinie und Feuer im Hochhaus. 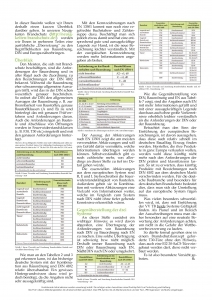 Lüftungssysteme in Mehrfamilienhäusern und PV-Stromspeicher-Systeme. Modellgebäudeverfahren nach EnEV, Urbanes Gebiet, Sportanlagenlärmschutz. Was bietet die neue DIN 18041? 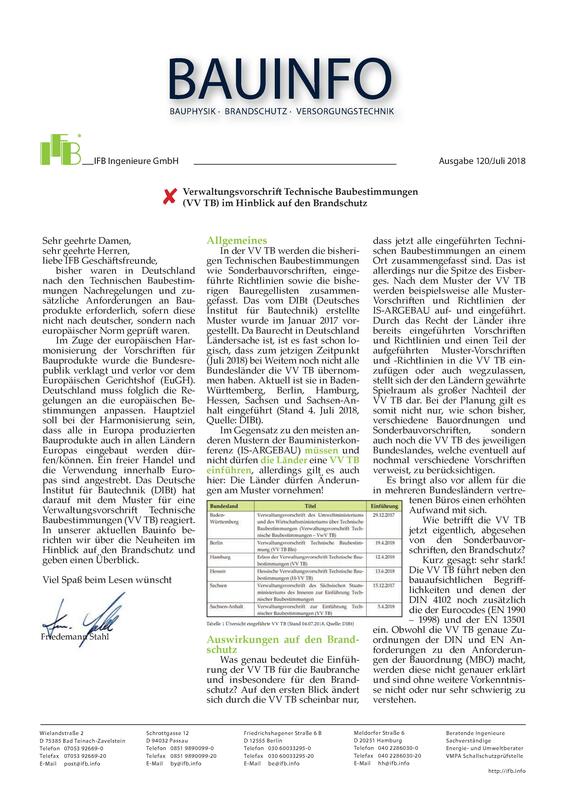 Die VgV (statt VOF). 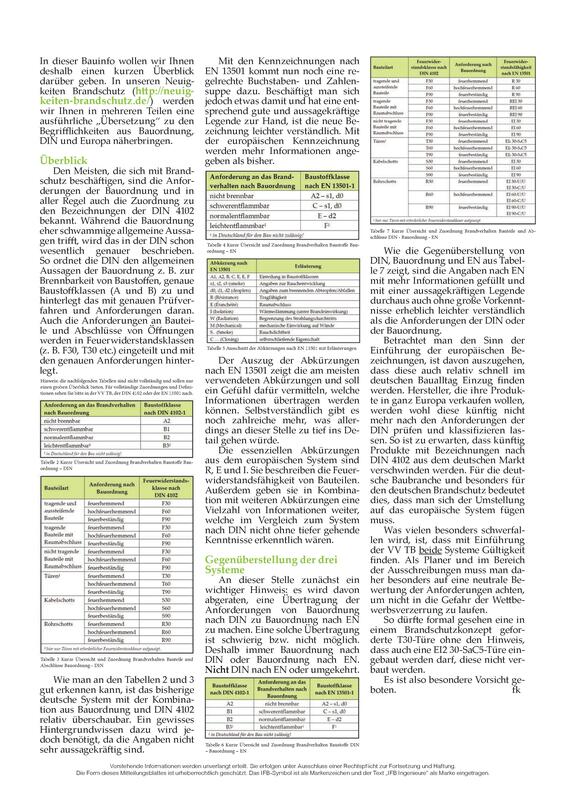 Lärm in Kindertagesstätten, Auswirkungen und Absorber, Nachhallzeitermittlung. 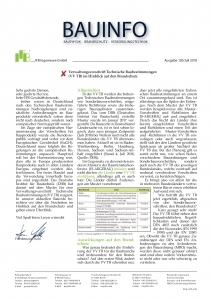 Neuauflage der DIN 4108 Teil 3. Tauwasser – Die „Inkontinenz“ der Luft. Neue Normenreihe zur Abdichtung. Sanierung von Abdichtungen. Neue Website. By signing up, you'll get our BAUINFO – and nothing more – 4 to 6 times a year. It'll help you to stay informed about news regarding our areas of expertise and may affect your daily work. I agree to my personal data being processed and to being addressed by email for advertising purposes. I can revoke the given consent at any time with future effect in any appropriate form. If you should later decide against the receipt of newsletters, you can unsubscribe at any time by revoking your consent.